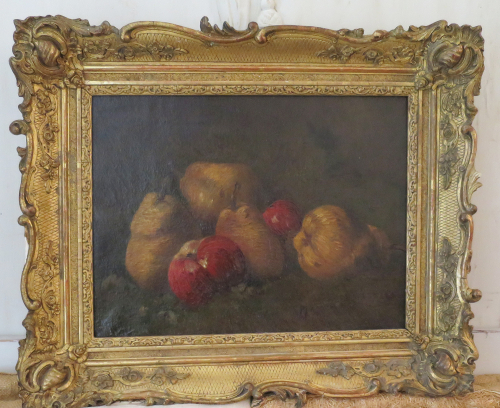 Early 18th century French Still Life - oil on canvas - indistinctly signed. Circa 1780. Depicting early varieties of Apples and Pears that no longer exist.